I visited Wisconsin for the first time on Saturday. Graham and I drove to Milwaukee for a Cubs game at Miller Park. 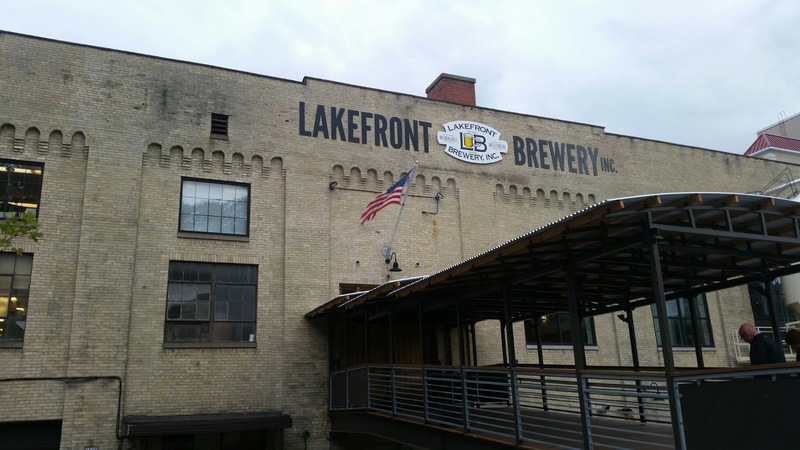 We met our friends at Lakefront Brewery before the game for some beer and food. The plan came together quickly and haphazardly, so we weren’t able to buy brewery tour tickets in time. The website says the tickets usually sell out for weekends, but mini tours are available. Instead, we just hung out in the beer hall. I immediately asked for cheese curds and mac and cheese, which Graham and I shared. I’m not typically a beer drinker, but when in Rome … you at least have one. I loved the communal vibe of the beer hall, where you share tables with strangers. Chances are they might not be strangers when you leave. And I could not get enough of those cheese curds. (I also snacked on friends’ fries and more cheese curds.) My diet on Saturday was 60 percent cheese and 40 percent assorted carbs. No regrets! I could not get enough of those cheese curds. Milwaukee is such an easy drive from Chicago that I know we’ll be back for a tour soon. The Pabst Mansion is also on my list. What other things should I do in Milwaukee?